… in that mellow, folksy sort of way. 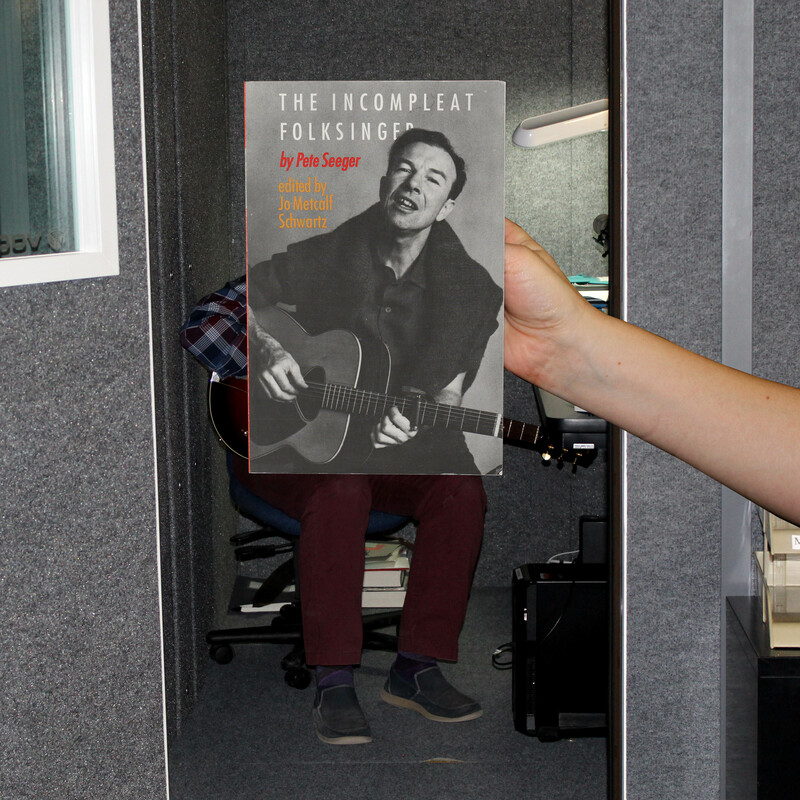 Today’s #BookFace is of the musical persuasion with “The Incompleat Folksinger” by Pete Seeger and edited by Jo Metcalf Schwartz (University of Nebraska Press, 1992). As part of our permanent collection it’s available for check out to anyone. Just ask our amazing Information Services staff! This title is published by the University of Nebraska Press, which we collect from for our state document program. “I Call Them All Love Songs. This week’s #BookFace model is our Talking Book & Braille Service Director, Scott Scholz! In case you were wondering, no, we don’t generally have a guitar just laying around the Commission. Scott brought this beauty, a Yamaha AEX500, from home. He says it’s a weird experiment of sorts that Yamaha tried to make in the late 90s, it has a piezo pickup that can get faux-acoustic guitar sounds, and a regular electric guitar pickup, whose output can be blended together (whatever that might mean). Scott also used this particular guitar when he put together this little demo using the Library Innovation Studios makerspace equipment —it’s a demo for a TBBS advertisement idea that would parody “These Boots Are Made for Walking). Check it out!